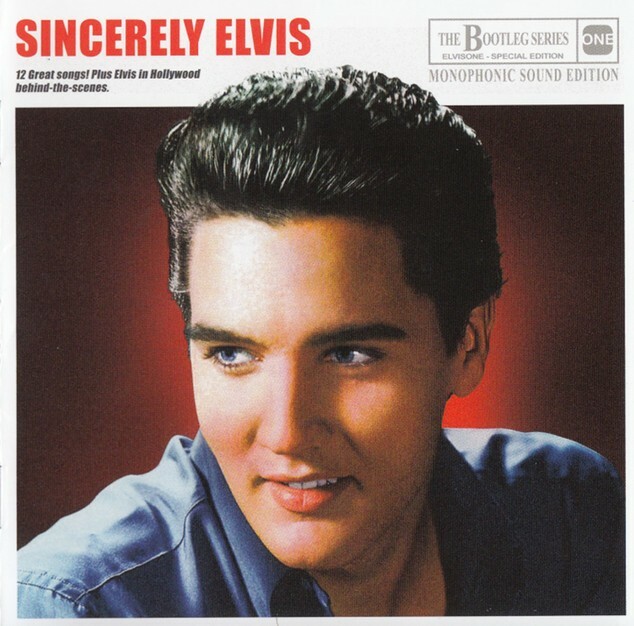 NOTES: "Sincerely Elvis" - presented as an original album from the sixties! 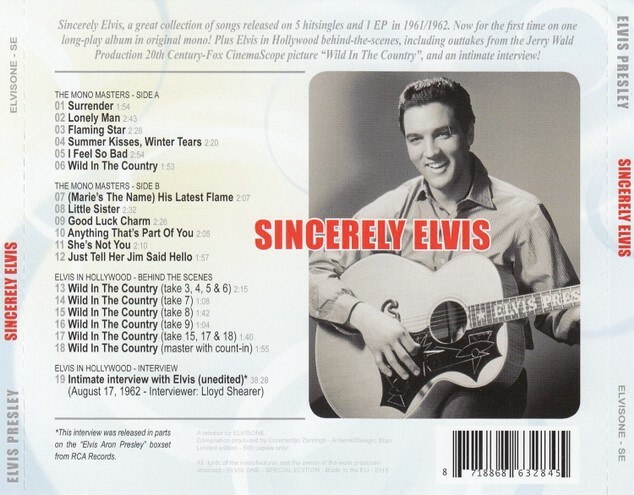 - Sincerely Elvis (Monophonic Sound Edition) CD is a great collection of songs ('Bootleg Series') released on 5 hit singles and 1 EP in 1961/1962. Now for the first time on CD in original mono! Plus outtakes from 'Wild In The Country' - and an intimate unedited interview from 1962! Also a 12 page booklet!